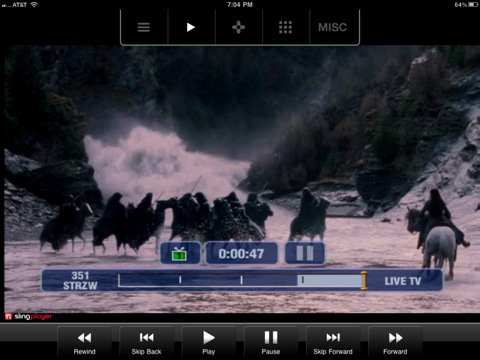 SlingPlayer Mobile, an application that allows the ability to connect and stream to your device from your Slingbox, is now available for the iPad. The iPad version of the application is $29.99 (which is the same as the iPhone version) and is available for download in the App Store. Check out the full app description and screenshots below. 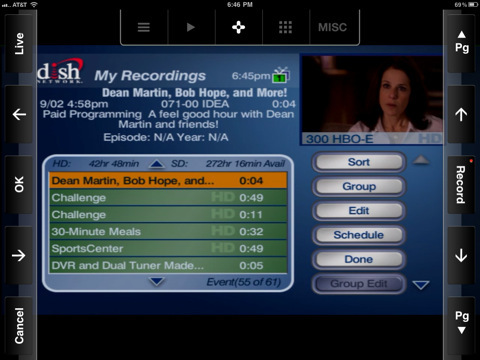 Watch and control your home TV and DVR on your iPad! You already pay for great content at home. Why settle for other iPad TV applications that only offer a limited selection of content when you can enjoy everything that’s on real TV? For more information on SlingPlayer Mobile for iPad, please visit www.slingbox.com/go/ipad. Folks, please be aware that this new iPad version will NOT work on all of their Slingbox hardware types. I quickly found out I made a big mistake. It will only work with the latest two boxes. If you don’t have either of those newest slingbox’s then just use the iPhone version. That works on the iPad too in compatibility mode. Manage several cameras from one account, even at diverse areas.